This month’s article is about one of the most interesting exhibitions I took part since I’m arrived here in Portugal . 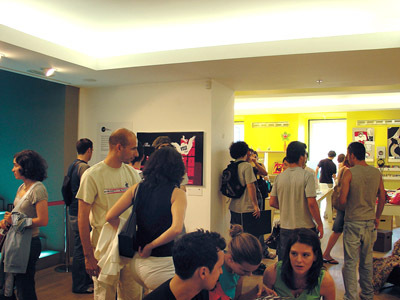 At Fabrica Features Benetton Gallery in the centre of Lisbon , an entire open space was dedicated to the launch of the first edition of Musa Tour 2004. Musa Tour 2004 is the first of several ‘Musa‘ events planned nationally, focusing on Design subjects and disciplines. MUSA has been recently collating works from Portuguese designers, a process that will culminate in the publishing of a book that will showcase the best of Portuguese design. The exhibition has been upped by a selection of material that came out from the book itself. This exhibition also highlighted fascinating works from young talented Portuguese designers such as Ana Cunha, Carlos Matias, Diogo Potes, Filipe Mesquita, Jorge Margarido, Luis Gomes, Nelson Araujo, Nuno Baltazar, Nuno Cintrao, Paulo Piedade, Pedro Carmo, Pedro Serrao, Niponik, Nuno Valerio e Luis Cruz. 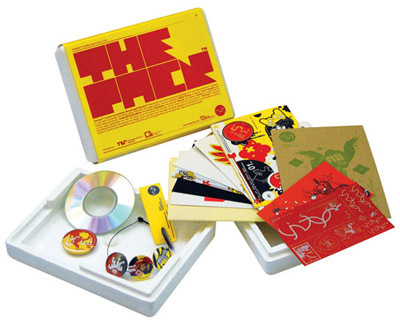 At the same time, “ThePack(tm) 01” it’s been presented in a limited edition of 200 units holding a cd audio exclusive of Cronica label, 3 Musa and 1 Vector Brigade pins, 1 fridge magnet Musa, 6 RMAC badges, Musa stickers, Vector Brigade stickers and YNTGOM stickers, MusaTour poster, an origami Niponik and 3 Musa and 1 Secretonix postcards. Musa is a design collective committed to show Portuguese designers. 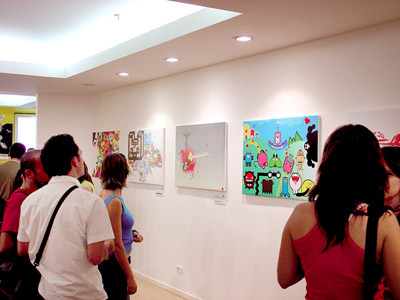 Musa’s aim is to present at a national and international level the very best design talents, Portugal has to offer. potential at the junction of many diverse media, believing in the value of creative work as a true way of promoting new ideas, and more than that, to instigate a vision of the future. After Lisbon, Musa Tour 2004 will move to Porto, and to the major international cities, presenting new works from the book, date and place still to be announced.